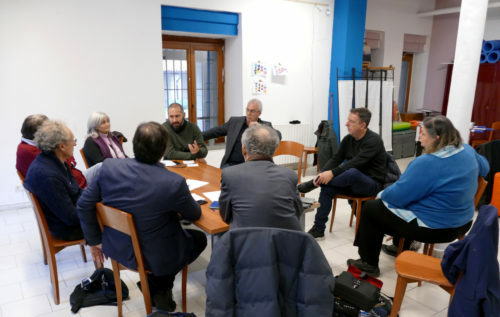 The first Informal European meeting of waste pickers and second hands operators Towards an European network took place in Torino, on November 21st at Eco dalle Città in Torino, Italia. The meeting was convened by Amelior, Rete ONU and ViviBalon to begin a process of building a European network promoted and focused on waste pickers, which could become a reference point for the second hands sector at European level. In fact, this sector today does not have a broad and important representation, that can dialogue with the Community institutions and which can represent the needs of the operators. With second hand sector, we mean the workers who go through others’ trash and recollect reusable objects. The participants exchanged information on their activities and shared the good practices that could be the object of comparison and exchange. The profile and identity of waste pickers in Europe. The common characteristics of those who work in the second hand sector. The need for political representation among institutional actors, starting from the EU. The possibility of carrying out common transnational projects. The importance of enhancing the social and environmental impact of operators and more generally of the re-use sector. The opportunity for waste pickers to become the driver of the re-use sector. Rete ONU, ViviBalon and Amelior have made available their willingness to work in the coming months to find further contacts in other European countries and resources for which to convene an extended meeting of the sector.